ASTM B564 / ANSI B16.5 / UNS N06601 / DIN 2.4851. ANSI 16.5 Socket weld flange, DIN 2.4851 Flanges, ASTM B564 Inconel 601 Slip on flange, Inconel 601 Flanges, WERKSTOFF NR. 2.4851 Flanges, UNS N06601 Flanges, Inconel Alloy 601 Flanges Supplier in Mumbai, India. 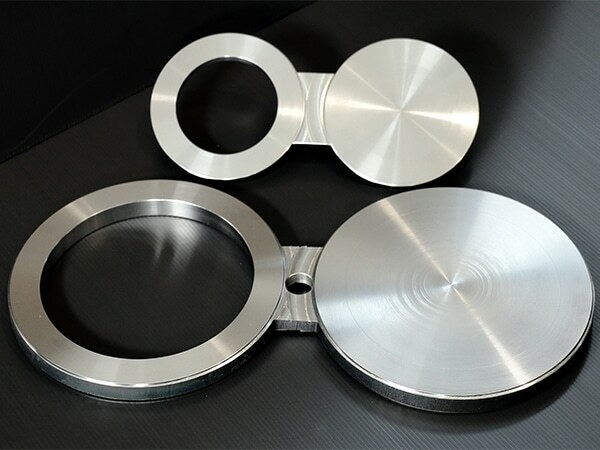 Inconel Alloy 601 Spectacle blind flange, Inconel 601 Welding neck flange, Inconel 601 Blind flanges, Inconel 601 Ring type joint flange, Inconel 601 Tongue and Groove flange, Inconel 601 Threaded Flanges, Inconel 601 Flanges Exporter, Inconel Alloy 601 Screwed flange, Inconel 601 Plate flange, Inconel 601 Long weld neck Flange, Inconel 601 Forged flanges, Inconel 601 SWRF flange, Inconel Alloy 601 Reducing flange, Corrosion Resistant Inconel 601 Flanges, Inconel 601 SORF flange. 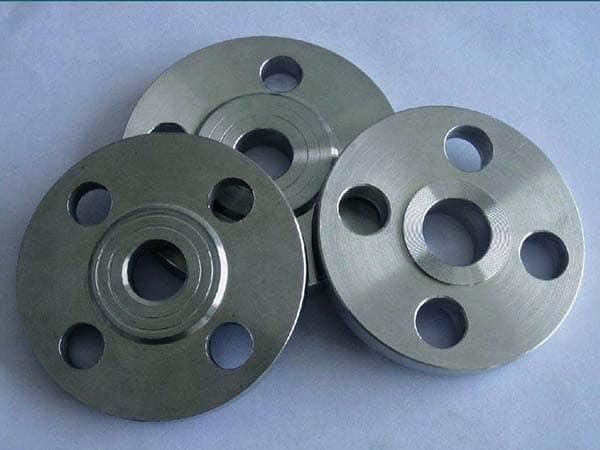 Jayesh metal is a renowned maker and supplier of Inconel 601 Flanges, which is iron, chromium and nickel alloy having elevated temperature oxidation immune. Our Inconel flanges are relatively utilized for thermal processing tools like fixtures, flame shields, baskets, retorts, muffles, radiant tubes, trays, and more. 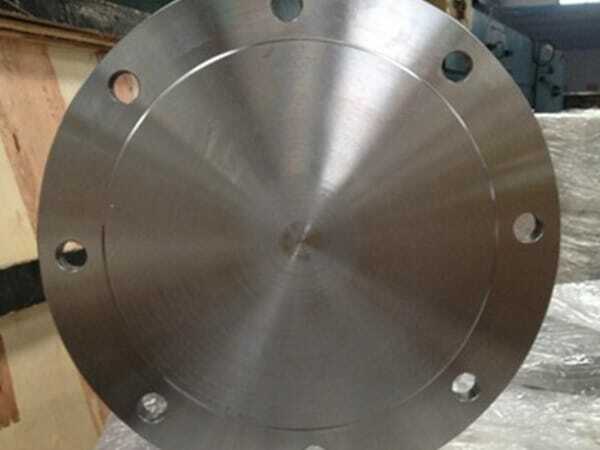 The restricted chemical composition of this Inconel flange is a face-centered and cubic-solid solution along with the soaring degree of metallurgical stability. This product has enhanced temperature strength and holds its ductility after longer-term service exposure. This is used in various industrial sectors and it is very solid. This is resistant to carburization and has exceptional oxidation resistance. 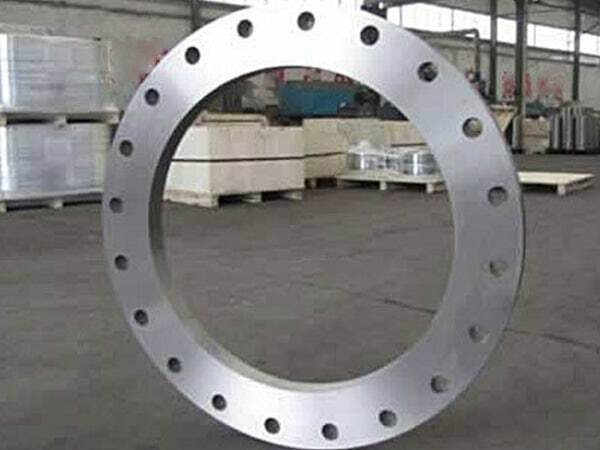 The size of the flange is ranging from ½” NB to 60” NB and the standards are ASME flanges, DIN flanges, ASTM flanges, EN flanges, ANSI flanges and so on. It includes various class or pressure ratings like 601#, 2500#, 300#, 1500#, PN 10, PN 64, PN 6, PN 25, PN 40 and so on. It can be adopted in different surface finishes or treatment like rough turned or machined, black or bright polished, rust oil, matte finish, and more. To ensure its high-quality different tests are done on it such as flaring test, pitting resistance test, micro test, macro test, intergranular test, hydrostatic test, impact test, radiography test and more. We can understand what the significance of packing, particularly in the case of shipments, as the goods have to go by numbers of channels to arrive the last destination, so we take care of packing properly. And Inconel 601 Flanges are packed in wooden boxes, carton boxes, shrink-wrapped to prevent from damages. inconel 601 flanges suppliers, inconel 601 flanges, alloy 601 flanges manufacturers, inconel 601 loose flanges, inconel 601 flanges manufacturer in india, inconel 2.4851 screwed flanges supplier, ms 601 flange manufacturer in india, inconel 601 flange astm, inconel 601 flanges pipe, inconel 601 flange stockholders in india, inconel 601 wrought austenitic flanges, inconel 601 price list, inconel alloy 601 flanges manufacturer, inconel alloy 601 pipe flanges, inconel 601 manufacturer in mumbai, inconel 601 flanges manufacturer in mumbai, inconel 601 supplier in india, inconel sus 601 weld neck flanges, inconel 601 dealer in mumbai, coastal flange, 601 flange manufacturer, inconel 601 flange manufacturer india, inconel 601 exporter in india, inconel alloy 601 spectacle blind flanges, inconel 601 flanges manufacturing companies in india, inconel alloy flanges price list, inconel alloy 601 flange price list. Angola, France, Kazakhstan, Qatar, Chile, Spain, Zimbabwe, Bangladesh, Turkey, Bhutan, Bahrain, Brazil, Thailand, Nepal, Gambia, Russia, Bulgaria, Hong Kong, Mexico, Nigeria, South Africa, Egypt, Lithuania, Sweden, Kenya, Philippines, Trinidad & Tobago,Tunisia, Italy, Portugal, New Zealand, Finland, Belarus, Switzerland, United States, Macau, Australia, Canada, Hungary, Azerbaijan, Iran, Ecuador, Indonesia, Serbia, Poland, Gabon, Argentina, Iran, Puerto Rico, India, Afghanistan, China, Poland, Colombia, Taiwan, Venezuela, Romania, Peru, Mongolia, Tibet, Lebanon, Libya, Austria, Slovakia, Algeria, Japan, Estonia, Ghana, Yemen, Norway, United Arab Emirates, Germany, Ukraine, South Korea, Denmark, Iraq, Mexico, Belgium, Greece, Singapore, Sri Lanka, Costa Rica, Croatia, Ireland, Vietnam, Jordan, United Kingdom, Namibia, Morocco, Kuwait, Nigeria, Israel, Czech Republic, Malaysia, Saudi Arabia, Oman, Netherlands, Bolivia, Chile. Madrid, Hong Kong, Thiruvananthapuram, Gurgaon, Milan, New York, Manama, Rajkot, Houston, Santiago, Kolkata, Atyrau, Mumbai, Ahvaz, Al Khobar, Sharjah, Dubai, Thane, Vung Tau, Al Jubail, Secunderabad, Dallas, Calgary, Doha, Haryana, Seoul, Geoje-si, Ranchi, Abu Dhabi, Hyderabad, Edmonton, Ahmedabad, Petaling Jaya, Caracas, Singapore, Los Angeles, Courbevoie, Jakarta, Ho Chi Minh City, Indore, Surat, Ludhiana, New Delhi, Rio de Janeiro, Sydney, Baroda, Gimhae-si, Howrah, Busan, Navi Mumbai, Bogota, Brisbane, Chiyoda, Melbourne, Bhopal, Cairo, Kanpur, Ernakulam, Kuwait City, Karachi, Jamshedpur, Coimbatore, Lahore, Faridabad, Nashik, Bangkok, London, Bengaluru, Lagos, Vadodara, Istanbul, Visakhapatnam, Montreal, La Victoria, Riyadh, Tehran, Pimpri-Chinchwad, Algiers, Colombo, Noida, Toronto, Jeddah, Port-of-Spain, Chennai, Hanoi, Chandigarh, Granada, Pune, Nagpur, Ulsan, Moscow, Mexico City, Aberdeen, Ankara, Muscat, Jaipur, Perth, Dammam, Kuala Lumpur.